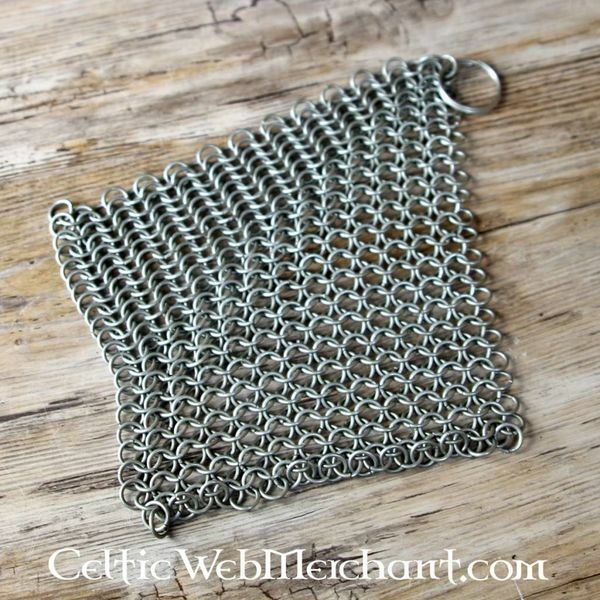 This piece of stainless steel chainmail is very suitable for cleaning historic pans. Always having problems with the cleaning of historical or modern pans, pots and grills? 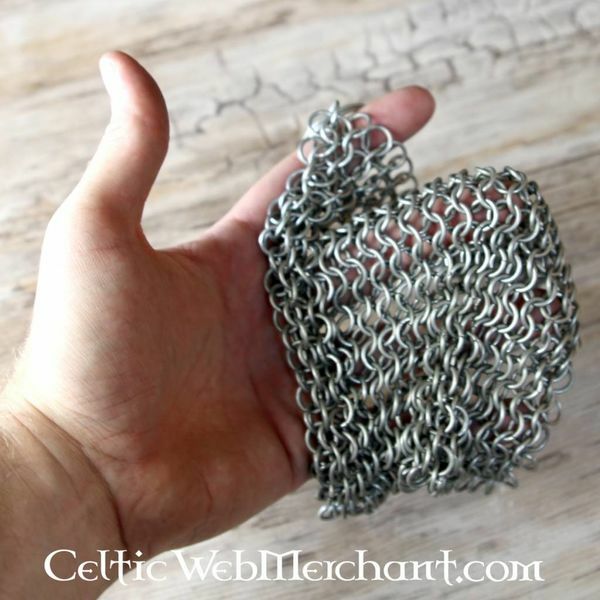 With this piece of chainmail you quickly remove grease residues, oil and rust. 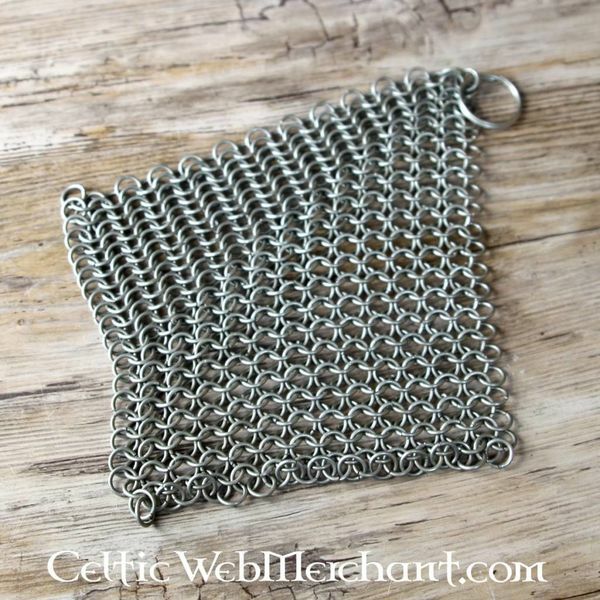 The chainmail piece works like a sturdy scouring sponge, but it is more durable. Always problems with the cleaning of historic pans? Especially if you do it in a historic setting, where few resources are available. 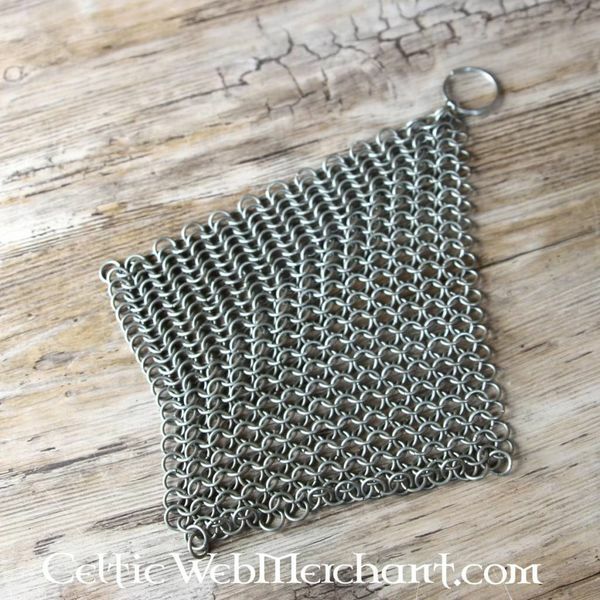 Fill the pan or kettle with hot water and use this piece of chainmail as a scouring sponge. All dirt is easily removed. 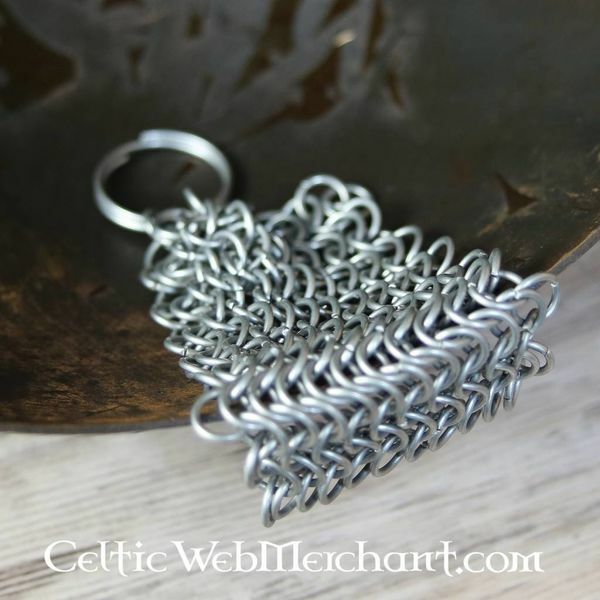 This can also be done with modern grilling, bbq grilling and cast iron pans. 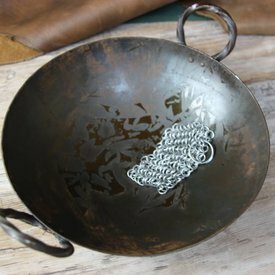 The chianmail is made of stainless steel, so you do not have to worry about rust. 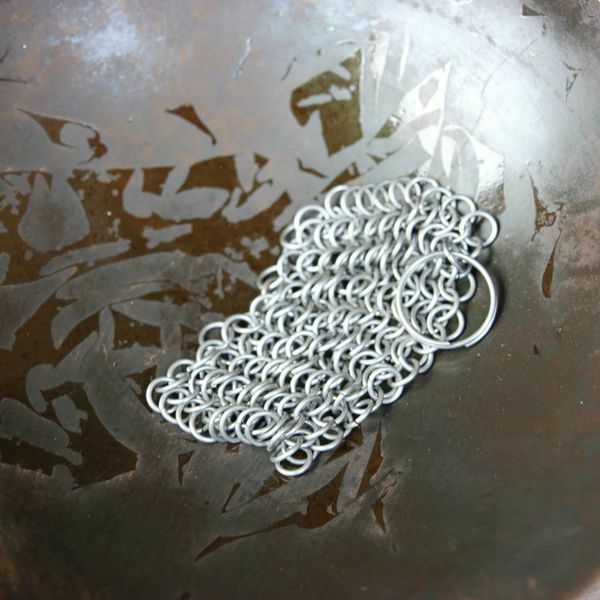 The scrubber has a handy ring to hang it on a keychain, attach it to a hook in the kitchen, etc.